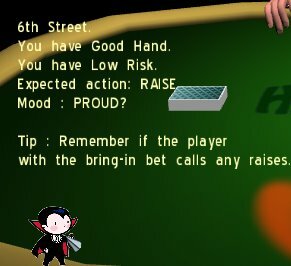 In collaboration with Hyejung Hur and Geoffrey Brown, “High Stakes Poker” is a full 3D single player poker game. Main opponent character is designed in full 3D skeletal model with motion capture animation. 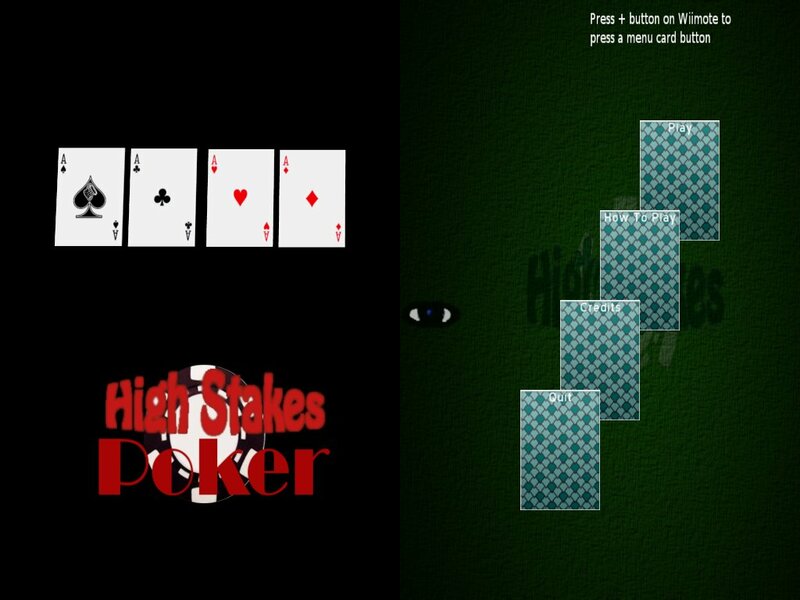 Game provides smart tips and intelligent character behavior based on poker game logic. Game play uses Wiimote controller to interact with cards and each actions for poker game play. In addtion to main controller, a user can wear IR tracking markers on the hat so that system tracks user's eye-gaze to trigger gaze sensitive interaction such as game tip pop-up when a user looks at the tip icon on screen. The game is implemented in C++ using Object-Oriented Graphics Rendering Engine library. I was a project team leader and in charge of game design, graphic asset design & production (character and environment modeling, animation), head & eye tracking, and implementation of visualization framework. This game goes by the rules of Seven Card Stud Poker. The first two cards are dealt face down. 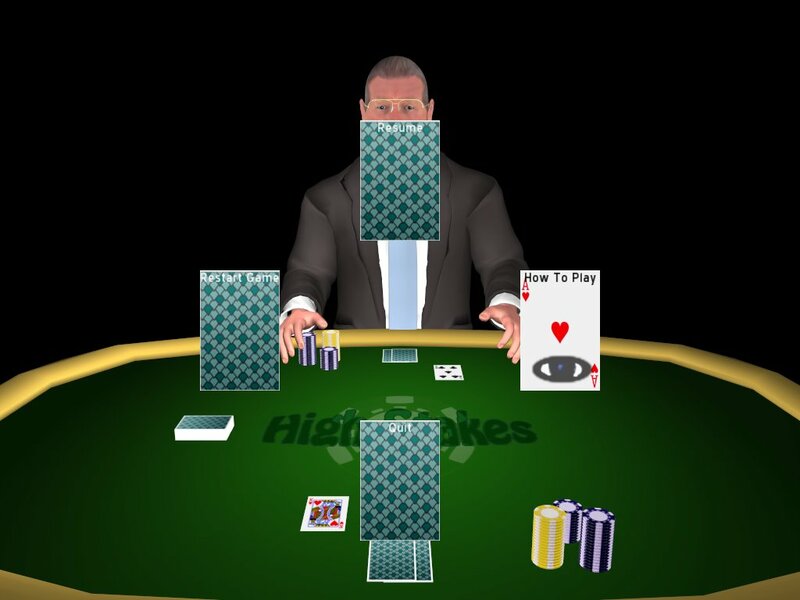 Then next four cards are dealt face up and viewable by opponents. The final card of the round is dealt face down. 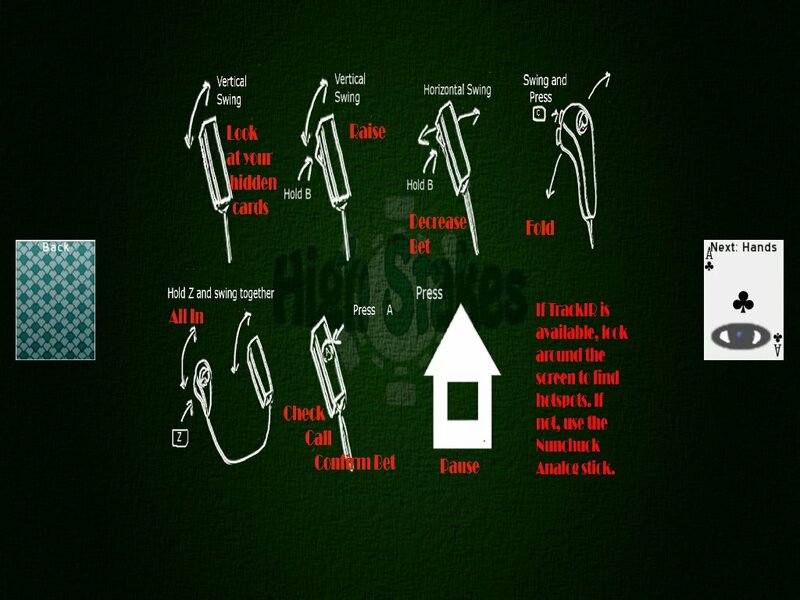 To win a round, the opponent must fold or the player must have the best Poker hand. To win a game, you must win all of his chips. Look in “hotspot” areas to receive game information, or to generally annoy your opponent : The player's chip area: shows the players chip value and elicits a unique type of response from the opponent if looked at too long. 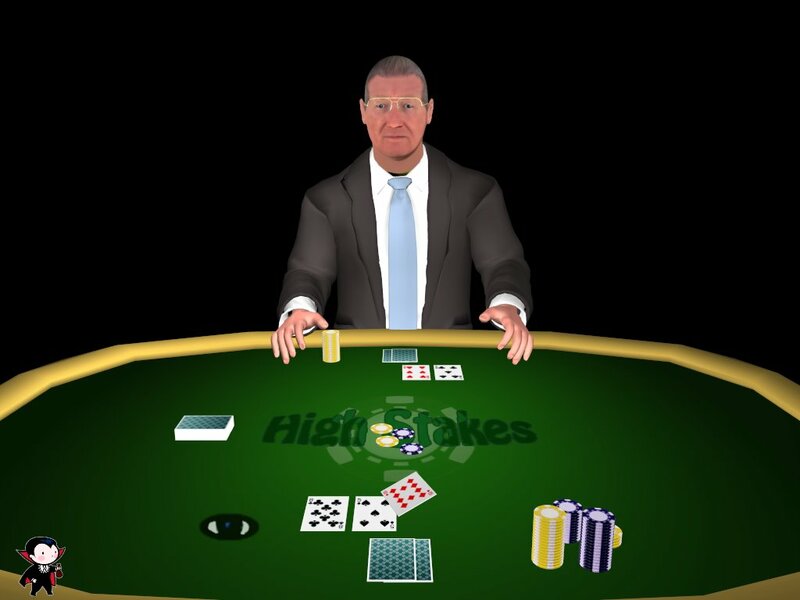 The table chips area: shows the pot value. Looking at your hidden cards too often or waiting too long to do something during your turn will elicit unique types of response from the opponent as well. Pause Game: Press the home button while playing the game. Use TrackIR head tracking system or the Nunckuck analog stick to move the “eyecon” over menu buttons and hot spots. With the exception of the shuffle effect, found at the Free Sound Project (http://freesound.iua.upf.edu) all other sound effects were recorded in a audio chamber room at EVL. Sound effects for the cards actually had to be done on the floor, since the table we were working on was metal and bumpy. The sound effects were done multiple times so that the best contender could be edited in Audacity. We used real cards for card sound effects, but for the sound that plays when the camera zooms in to the player's hidden cards, We made a sound that imitated what I thought the zoom should sound like, then edited it in audacity by adding normalization and a “phaser” effect. The background music, “Vegas Glitz” by Kevin McLeod is borrowed from at the royalty free site Incompetech.com. This was chosen because it fit the gambling scene so well. We had to find the perfect “looping point” and cut it in Audacity, so that it would repeat well. A lot of voice acting was recorded in the sound free room, for the over 140 interesting comments we had written in the transcript for AI reaction. For each type of response you can get from certain gameplay actions, there are around 10-15 comments that may come out of the opponents mouth. we recited each line multiple times so that we could choose from the best sounding samples. Unfortunately, in the end, we couldn't use any of those recordings, Since they were recorded before the motion capture, they didn't sync up correctly with it. Fortunately, sound was recorded during the video of our motion capture session and we were able to use that instead. 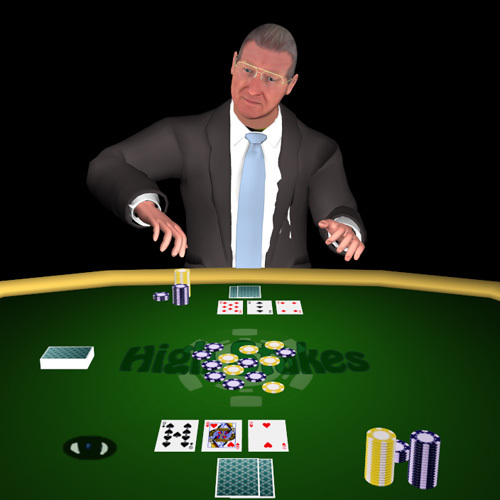 Main opponent charater in High Stakes Poker game is designed in 3D model fully rigged with skeleton structure to incorporate natural human animation. 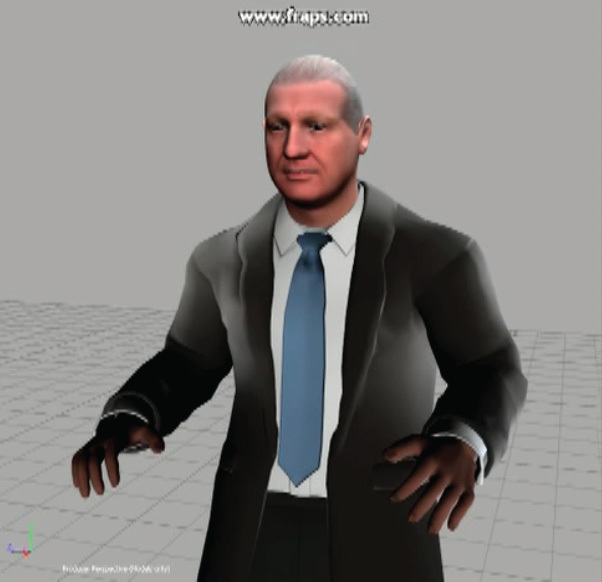 All animation clips in the game are acquired via full body motion capture system at EVL. Total 18 minutes performance were recorded and we generated about 140 unit motion clips. These unit actions include various idle motions, subtle gestures for trash talk, and game action related animaitons such as betting (toss chips to the table), pointing, and win/lost gestures. Autodesk Maya and MotionBuilder software used to process motion data and retarget them to our 3D character model. 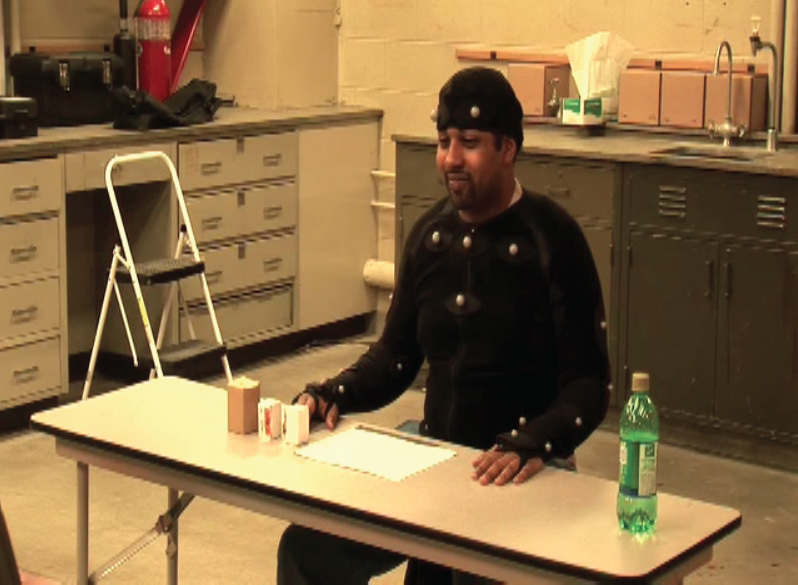 The recorded voice from mocap performance session used in the game to synch animation and dialogue speech.